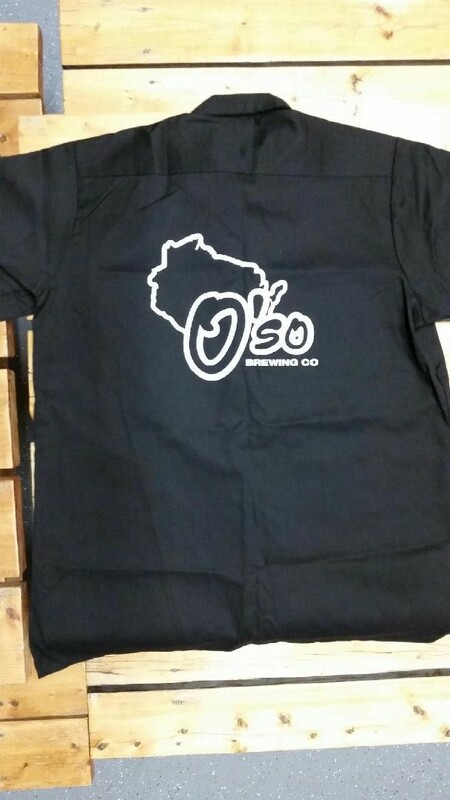 Short-sleeved button down work shirt screen printed with the O'so logo printed on the left chest and a large logo printed on the back of the shirt. 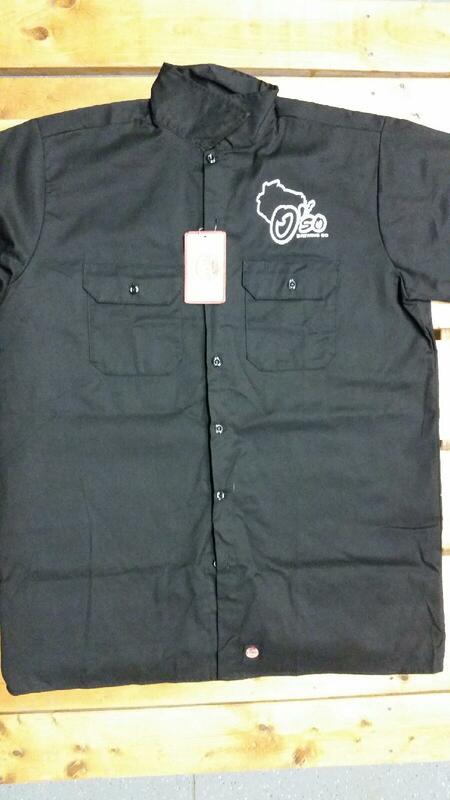 These shirts are made from a high quality RedKap cotton-polyester blend with two button-through flapped pockets. Black with white printing.